Troops | Boom Beach. All about the Game! For the attack in “Boom Beach” player is given a choice of 9 types of attacking units which can be loaded on landing Crafts. Here you can find brief information about every kind of units. Rifleman. Rifleman is the classic private in the truest sense of word with an average speed of movements and attack distance. Armed with a rifle with a rate of 1 shot per second. Training time is 1 minute. Takes 1 place on the Landing Craft. Strengths: Very effective against Cannons and Boom Cannons due to their low rate of shooting. Also quite good against Sniper Towers. Weaknesses: Very vulnerable for Rocket Launchers and Mortars due to their ability to cause damage for the group of troops. These buildings better destroy using Gunboat. Rifleman also is not effective against Flamethrower because of the same range of destruction. 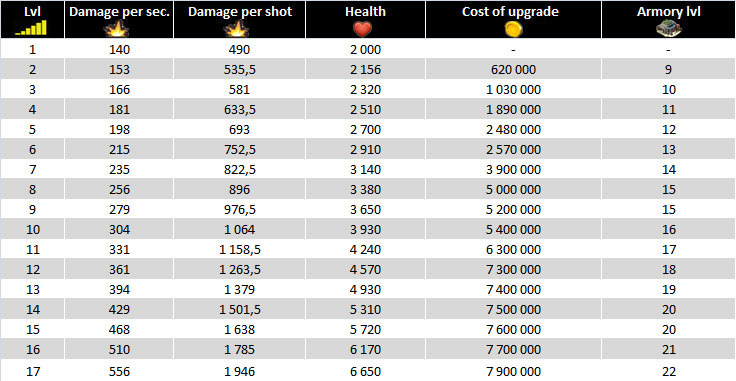 Conclusion: It is recommended to use Rifleman in cases when you need to crash enemy by huge number of units (for example to capture some resource base with huge amount of Cannons, Boom-Cannons and Sniper Towers). Rifleman is great in combo with Tanks, Scorchers and Medics. In combination with other units is less effective. Heavy. A sort of prototype of Rambo in the Game. 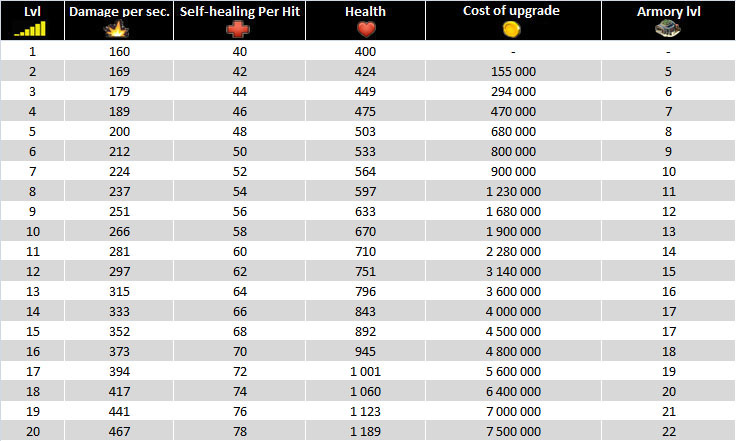 Heavy has a huge stock of health and relatively low damage power. Available from the second level of Headquarters. Armed with rapid-fire machine gun with a small radius of destruction but a great rate of fire (10 shots per second). Training time is 6 minutes. Takes 4 places on the Landing Craft. Strengths: great vitality. 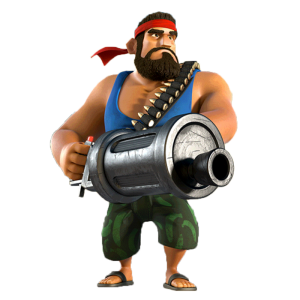 Attracts the attention of almost all defensive weapons and provides thereby an attack opportunity for other troops with bigger firepower almost without let or hindrance (for example for Zooka). Weaknesses: little firepower. 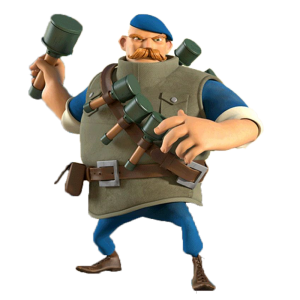 Heavy is not effective against Cannon and Boom Cannon which have tremendous power of damage per one shot and are able to destroy him from the first shot. Conclusion: It is recommended to use Heavy on the early stage of Game (some players use them all the time). Heavy is excellent in one team with Zooka. These two units as if specially made each for other. In combo with other units Heavy is less effective. Zooka. Zooka is one of the most powerful units in the Game. 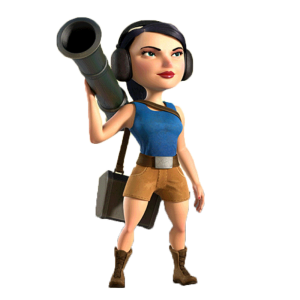 Fragile-looking girl which is armed with bazooka with long range of fire with minimum of health and huge damage power! 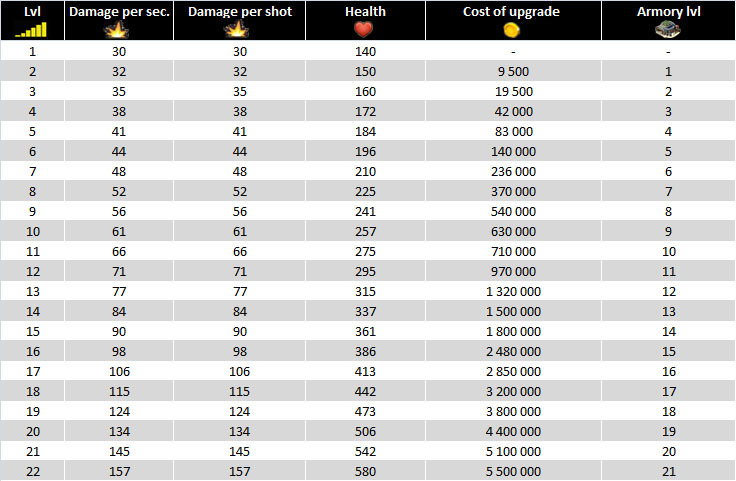 Fire rate is one shot per 2 seconds. 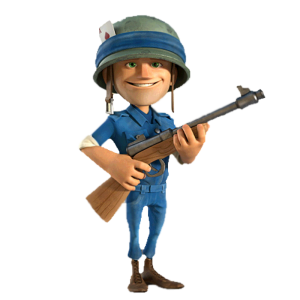 Zooka is available from the fifth level of Headquarters. Training time is 4 minutes. Takes 2 places on the Landing Craft. Strengths: great firepower. Long range of fire. 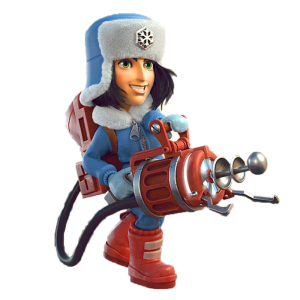 Zooka is effective against Flamethrower (it just can’t reach out to Zooka), Cannons and Boom Cannons. Weaknesses: small stock of health. Zooka is also very vulnerable for Rocket Launchers and Mortars due to their ability to cause damage for the group of troops. These buildings better destroy using Gunboat. Mines are also very dangerous for this unit. Conclusion: Excellent in combination with Heavy and Scorcher as the latter has a huge stock of health and able to divert attention of almost all defensive weapons. In recent times many players actively use only Zooka with Smoke Screen (you can find video-example of such attack here on this site). They call such combo “SMOOKA”. The effect from such attack is impressive. Warrior. Warrior is available from the eighth level of Headquarters. A sort of prototype of an Indian which is armed with magical hammer. Warrior has ability of self-healing during process of destroying of enemies and also has a great speed of movement. Training time is 3 minutes. Takes 3 places on the Landing Craft. Strengths: fast speed of movement and ability of self-healing. Weaknesses: short range of attack. Warrior is the most vulnerable for Flamethrowers, Rocket Launchers and Mortars due to their ability to cause damage for the group of troops. Mines are also very dangerous for them. Doesn’t effective in any combination. Conclusion: As a rule Warriors are used only for attack on one building in Island – this is Headquarters. Players lead them between other buildings directly to the Headquarters using Smoke Screen. Then Warriors using their magical hammers crashes it. P.S. As for me I don’t like such tactics and use Warriors very seldom. Tank. 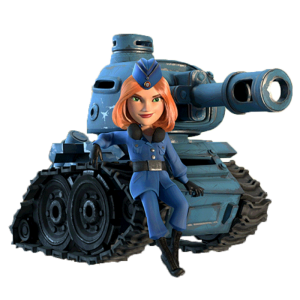 Tank is one of the most popular unit in the Game and become available from eleventh level of Headquarters. Powerful but slow. It has a big stock of health and great firepower. Tank requires an additional energy for landing ashore (2 units of energy). If to use Tanks in proper way they are almost unbeatable (especially with support of Medics). Rate of fire is 1 shot for 3.5 seconds. Construction time is 24 minutes. Takes 8 places on the Landing Craft. Strengths: enormous damage power. Long range of fire. Almost impenetrable armor against Machine Guns and Mortars. Weaknesses: slow and slow rate of fire. Long construction time. Weak against Cannon, Boom Cannon, Sniper Tower and Boom Mine. Conclusion: Tank is excellent in one team with Medics and Scorchers. Also is not bad with Rifleman. In combination with other units is less effective. P.S. Tanks and Scorchers is one of the powerful combo in the Game. I use such combo almost in 90% cases. Grenadier. Grenadier is available from the 16 level of Headquarters. Looks like big slightly awkward fellow with a mustache and blue beret on the head. Armed only with grenades which he throws far but inaccurately. 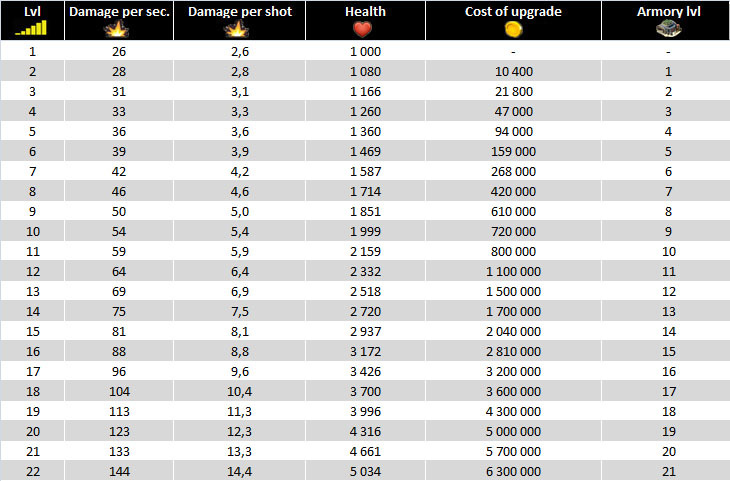 Grenadier has an average speed of movement. Training time is 15 minutes. Takes 6 places on the Landing Craft. Strengths: great range of attack. Ability to cause damage to several buildings at the same time. Weaknesses: the inaccuracy. Can cause damage to allied units with whom is in one team. Conclusion: Quite good unit. Excellent in combination with Medics. Not bad in combo with Scorchers. In combination with other units need to use careful. Scorcher. Scorcher is the most powerful unit in the Game which is available from the 16 level of Headquarters. 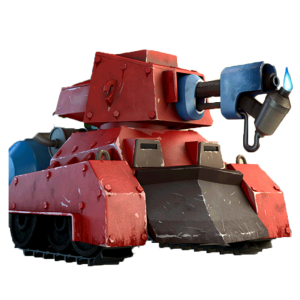 Externally looks like Tank but has red color and flamethrower instead of cannon on the tower. Scorcher has a huge stock of health and can attack a few buildings at the same time. All buildings which was attacked by Scorcher continue to burn during 5 sec. after attack and receive additional damage. Construction time is 50 minutes. Takes 21 places on the Landing Craft. Strengths: A huge stock of health (the most amount from the all units in the Game). Ability to attack several buildings at the same time. Ability to cause additional damage for buildings for 5 sec. after attack. Scorcher has almost impenetrable armor for Machine Guns, Sniper Towers, Mortars and Rocket Launchers. Weaknesses: Long construction time. Requires a lot of an additional energy for landing ashore (12 units of energy). Conclusion: To my opinion Scorcher is the most powerful unit in the Game. It’s very difficult to repel simultaneous attack by 8 Scorchers. The Scorchers is great in combination with Tank and Zooka. Also not bad combo is Scorcher with Rifleman or Grenadier. The worst combination is Scorcher and Medic. Cryoneer. Cryoneer is relatively new unit in the Game which is available from the 20 level of Headquarters. Externally the Cryoneer is nice looking and warm dressed girl which is armed with some freezing device that shoots rays and slow down rate of fire of enemy defensive buildings (on 50%). Training time is 8 minutes. Takes 4 places on the Landing Craft. Strengths: A large range of defeat. Weaknesses: Low damage power. Takes to many places on Landing Craft for its characteristics. The Cryoneer need to use only in combination with other units because alone this unit is fully useless (look demonstration video). 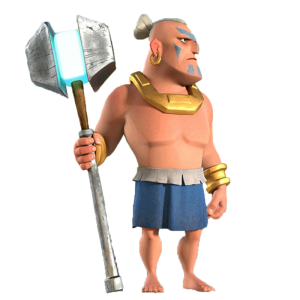 Conclusion: In my opinion the Cryoneer is the worst unit in the Boom Beach. Low damage power and other poor characteristics (number of places on Landing Craft and etc.) makes this unit unattractive and useless. Medic. Medic is not intended for damage enemy buildings and war activity. 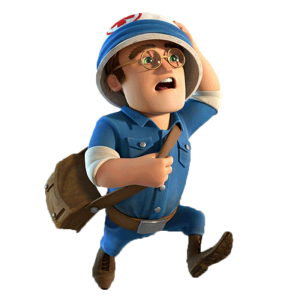 The main aim of Medic is to treat own units, when they receive damage during attack. Externally Medic looks like ordinary military doctor: dressed in military uniform and helmet with a red cross on it. The Medic has an average speed of movement. Training time is 10 minutes. Takes 5 places on the Landing Craft. The only downside is absence of ability to manage by Medic separately from other units. Unfortunately Medics choose potential “patients” on their own. 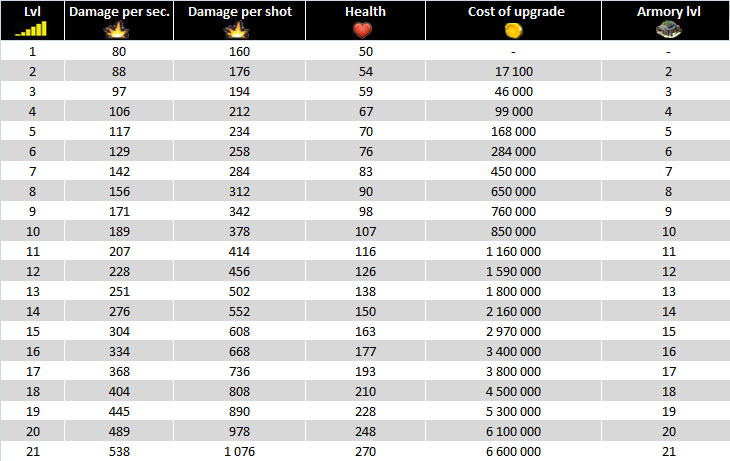 Medic is the most effective in the combination with Tank, Rifleman and Grenadier. Not recomended to use Medic in combo with other units.